Imagine being a child and saying goodbye to your parent who is going off to war? Or being a parent, and saying goodbye to your child before you head off to combat…not knowing for sure when you’ll get home, or if you even will. 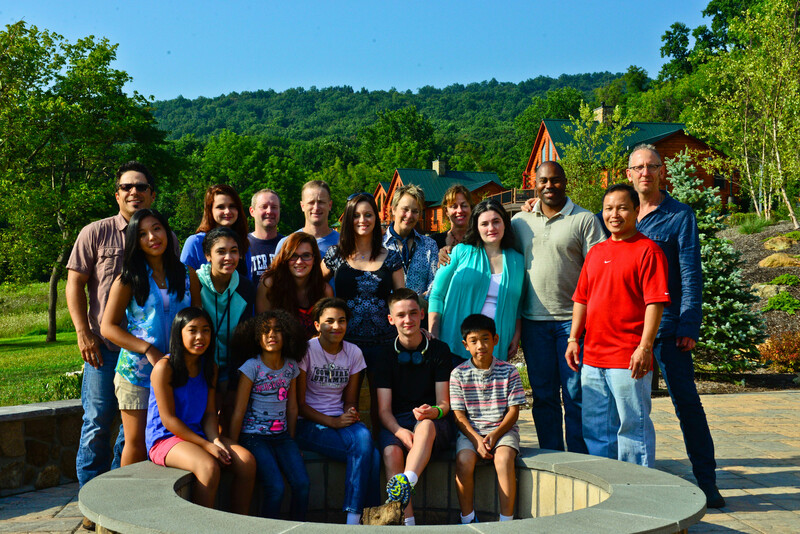 When SW:S was asked to hold a retreat specifically for military families, we jumped at the chance. Our interactions with veterans and their spouses at prior retreats made it very clear that deployments and the transition home affect every member of the family. Loved ones share the burden. We embraced the opportunity to help turn their experiences into song, a lasting source of comfort for these families who endure so much – alone and together. But where to begin when family participants range from ages 7 to 40+ years old? 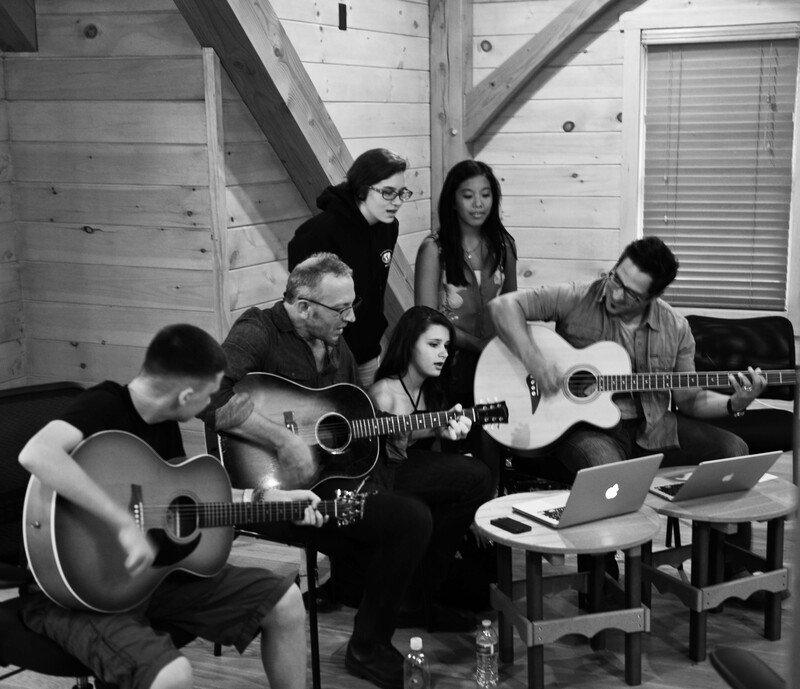 Our songwriting collaborations with service members are based on intimate conversations, deep listening, and often the sharing of never-before-told details and feelings about rough situations. Our songwriters’ respect for the truth, the universal struggles, pains, and pitfalls of life, is what makes them masters of their craft. But this approach could be difficult with the range of experiences, family roles, and expectations we’d be working with. What would teens discuss in front of their parents? What would a veteran who’s been in combat reveal in front of his or her kids? As I thought about that question, I turned to my background in Positive Psychology for insight. As human beings, we can learn so much about our selves and one another by focusing on strengths. “Let’s start with what’s right about them as a family,” I suggested to the songwriters. “Let’s help them create a sort of family crest, a symbol of who they are, through song.” It took only a moment for the songwriters to wrap their heads around this approach. We had our starting point. 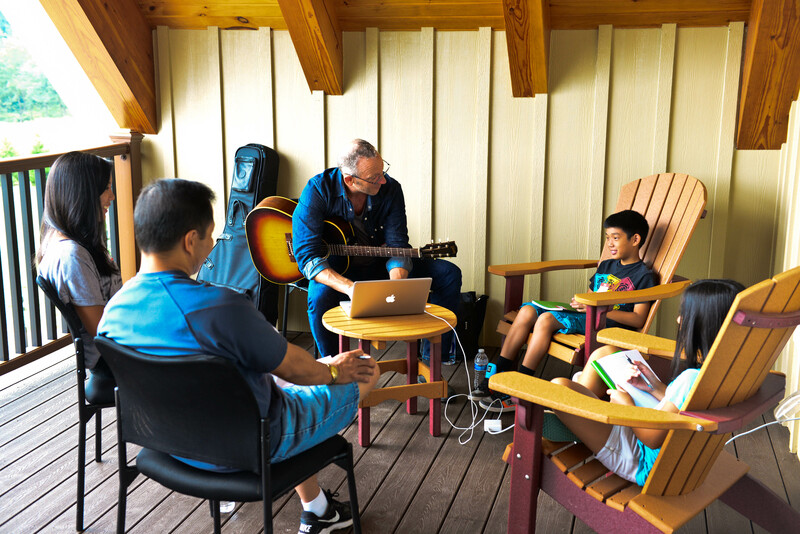 On the first morning of our retreat, each songwriter found ways to mine the truth of what made these families strong. It began with getting to know the family members, and asking a few questions: Tell me about your family, what makes you, you? What makes your family strong? How do each of you cope with the demands of military life? Darden Smith sat down with the Estradas. Glen Estrada, a retired Navy veteran, attended with three of his seven children, Angelica (Jelly), Jessica, and J.P. (His wife, their mother, had to work and we hope to meet her another time!) When Darden asked what connected all these family members, each child tossed out lines about things that held them together, repeatedly returning to love. Within two hours, they had their song, “Big Love.” The session inspired Glen and older daughter Jelly to collaborate with Darden on another song, “Oh Brother.” This song revealed the pain felt after a family member leaves home. “We go on road trips,” the Wilson family explained to Mary Gauthier who asked how they celebrate when Chad, a Navy hospital corpsman, comes home after deployment. Soon, all five family members, Chad and Jamie, and the kids, Alexis, Sydney, and Emmett, were offering their contributions. Favorite old van! Fishing in the Dells! – which Mary shaped into a catchy country song called “Road Trip.” After that song wrapped, parents Jamie and Chad remained with Mary and Darden to write about how they’ve stayed so connected during tough times apart. “Love Will Abide” was the touching result. Both of their teenaged daughters each wrote a song with a new friend they made at the retreat, including one called “Daddy’s Girl,” with the line “love is thicker than blood” – a tribute to the man who became the father the family needed. On the final afternoon of the retreat, the Estrada and Wilson teens pulled songwriters Jay and Darden aside and opened up about the unexpected difficulties faced when their parent returns home after combat. A simple event like a screen door slamming can set off a torrent of fear. Within two hours, “The Battle Rages On” was completed and recorded. The astute observations and deep feelings of the teens were finally expressed – in a song that their parents could hear, a song they could talk about as a family, a song they could all sing, together. That song, like each and every song written during the retreat, educates us all. When the songs are shared, we believe they will help other military kids relate to their parents, and help parents open up dialogue with their children. One of the most common feelings among service members and their families is nobody understands what it’s like. Throughout the weekend, the families bonded over common experiences and emotions. Through the creative act of storytelling and songwriting, a community was forged. And now these families have their own songs, an enduring expression of what holds them together, what makes them unique. At the same time, these personal family tributes, written by military families, can comfort so many of us. That is the power of art. Its ability to capture the truth of our shared humanity. Through song, we are all family.